William Shatner may soon need to do a commercial with Kaley Cuoco begging people to buy Priceline stock. Priceline (PCLN) shares plunged 11% Friday and were down more than 4% Monday. Why? The company generates more than two-thirds of its revenue from Europe. So investors are extremely worried about what Britain's decision to leave the European Union -- the so-called Brexit -- will mean for Priceline's sales and profits. Priceline has been a major player in Europe since it acquired travel reservation site Booking.com back in 2005. Since then, the Connecticut-based company has been often more sensitive to events happening on the other side of the Atlantic. Remember the volcanic ash from Iceland that disrupted travel in 2010? Priceline's profits were hurt temporarily by that. Analysts have cut their earnings forecasts for the current quarter -- as well as all of 2016 and 2017 -- during the past few months as Brexit worries started to rise. But will Brexit turn out to be just a blip -- just like the worries about that volcano six years ago? After all, the company is still expected to report sales and earnings growth of about 15% this year and in 2017. That factors in Wall Street's new lower targets. 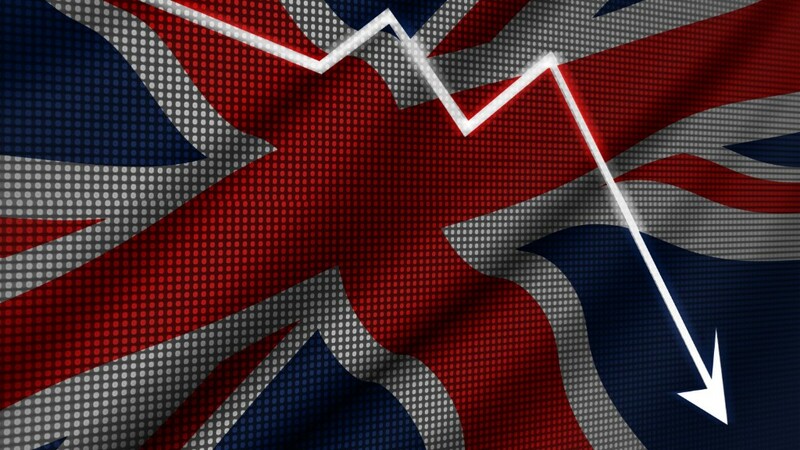 And Jefferies analysts Brian Fitzgerald and Brian Pitz wrote in a report Monday that they think the fears of Brexit hurting European travel are overblown. The Jefferies analysts argue the pounding taken by the British pound and euro since the Brexit vote may make it cheaper for a lot of Americans and Asians to travel to Europe. That could outweigh any short-term pullback on travel by European consumers. Fitzgerald and Pitz added that sharp declines in the pound and euro may only hurt Priceline's bookings and revenue by about 7% once results from Europe are translated back into the stronger dollar for corporate reporting purposes. But investors remain nervous. And probably with good reason. Priceline itself weakened its outlook when it reported its most recent earnings last month. The company is also still reeling from the surprise resignation of former CEO Darren Huston after it was revealed that he had an improper personal relationship with an employee. Priceline isn't the only U.S.-based travel stock to feel Brexit pain though. Shares of big global airlines United (UAL), American (AAL) and Delta (DAL) have all been hit hard since Friday. So have hotel companies Marriott (MAR), Hilton (HLT) and U.K.-based InterContinental (IHG), the owner of Holiday Inn. Based on what's happened to all these stocks, it's probably a blessing for unicorn Airbnb that it's not yet public.